If you use wireless microphones or wireless personal monitor systems in the United States, you should be aware of the 600 MHz wireless spectrum auction. In spring 2017, the FCC reallocated the 600 MHz frequency band (614 – 698 MHz) for wireless broadband use. This reallocation means that operating wireless microphones or personal monitor systems in the 600 MHz band will eventually be prohibited by law. If you’re currently running a 600 MHz wireless system, there’s no need to press the panic button just yet. Depending on your location, you may be able to use your 600 MHz system until July 13, 2020, so you don’t need to make the switch immediately. That said, right now is a good time to pick up a new, “future-proof” wireless system that runs in the 470 – 608 MHz UHF band, 1.9 GHz band, or 2.4 GHz band. Audio-Technica, Sennheiser, and Shure are all currently offering cash-back rebates on new wireless systems when you trade in your old 600 MHz wireless system. 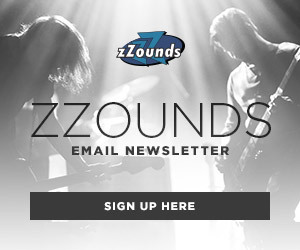 Read on for the details on how to claim your rebate from each wireless mic manufacturer! To get a rebate on a new wireless system from…. Use this tool to determine whether your current Shure or non-Shure system is eligible for trade-in. Review the complete Terms and Conditions of the Shure rebate. 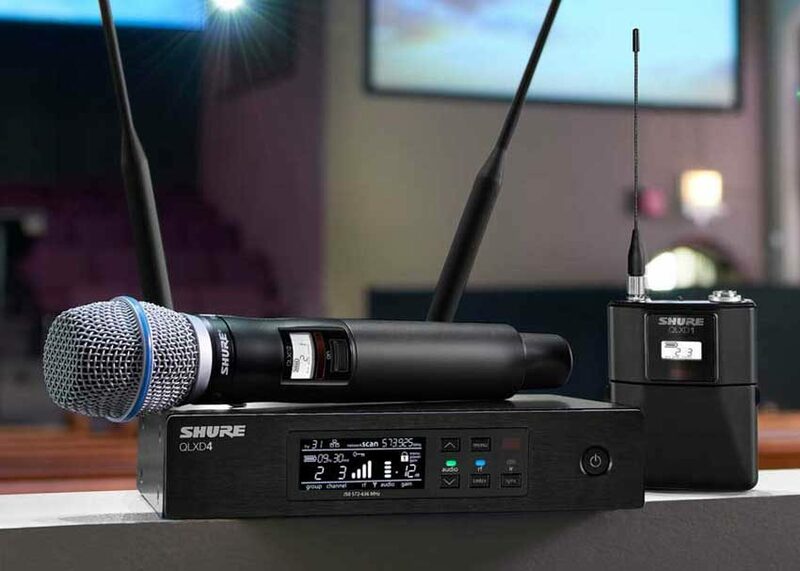 Purchase a new eligible Shure wireless system. Complete a Shure 600 MHz Wireless Rebate Form. Ship your trade-in product to Shure along with a printout of the Rebate Form confirmation page. Use a trackable shipping method. Receive a check from Shure. Please allow 8-10 weeks for delivery. Verify that your trade-in system operates in the 600 MHz band. Your receiver and/or transmitter should include a sticker with the frequency range. If any part of the listed frequency range falls within the 614 – 698 MHz range, your system is eligible for trade-in. Here’s a list of common 600 MHz wireless systems from Audio-Technica and other manufacturers that are eligible for trade-in. Purchase an eligible Audio-Technica wireless system from an authorized Audio-Technica dealer in the United States between 8/15/2017 and 3/31/2019. Register online, using Offer Promotion #78844. • A copy of the sales receipt for your new A-T system with store name, date of purchase, model number and price paid clearly legible. • The original (not a copy) UPC bar code cut from the product box of each new A-T system purchased. Not from the shipping carton. • Your old 600 MHz wireless system (receiver and transmitter). Note: To receive the full trade-in rebate on a dual-channel system, you must send in two channels (i.e., two single-channel receivers or one dual-channel receiver, plus two transmitters) from a 600 MHz system. Please allow 8 to 10 weeks for processing from the time your submission is received. 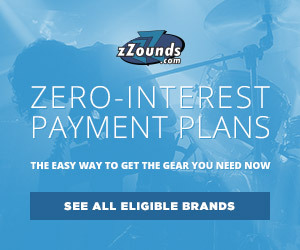 To check status of your rebate, please visit http://audio-technica.rebateaccess.com. Check if your current wireless will be affected. Look for a printed sticker on your equipment indicating its frequency range. On Sennheiser wireless, this information is printed on both transmitters and receivers, and is often visible on the main display. Any manufacturer, make or model will be accepted for trade-in rebate, provided it operates in the 600 MHz band (614 – 698 MHz range). • Make a copy of your sales receipt, dated between June 14, 2017 – June 30, 2018. • Complete the 600 MHz Trade-in Form. • Send your old wireless, sales receipt, UPC code and completed trade-in form to the address listed on the form. • That’s it! Please allow 6-8 weeks for your trade-in to be processed, and your check to be mailed.